Can a person be filled with the Spirit or baptized with the Spirit with out speaking in tongues? There is a lot of controversy that has happened and is happening because of this one controversial question. It has divided many a congregations and denominations. But the Bible is clear in this regard ,the word of God does not have discrepancy in this regard. The answer for this question is yes. You may be surprised to hear this and may think where in the Bible it is written that we can be filled with the Spirit with out speaking in tongues. In the case of Paul in Acts 9:17, it can be clearly seen that when the disciple named Ananias came to Paul, to lay his hands on him, so that Paul can receive his sight and to be filled with the Spirit (or) in other words he can be baptized with the Spirit. Both filled with the Spirit and baptized with the Spirit are synonymously used in the scripture (Acts 1:5;2:4). Here when Paul was filled with the Spirit, the Bible does not explicitly say that he spoke in tongues immediately the moment he was filled with the Spirit. And when the Bible does not say it explicitly, we cannot assume that he must have spo ken in tongues. But it says that he received his sight at once and he arose and was baptized [in water] (Acts 9:18).Here only we see that a person receiving healing by the laying on of hands at the same moment was filled with the Spirit and after that got baptized in water. Verse 19, only after he received food he was strengthened. This also implies that even though God acts in a supernatural way, yet we need to do our necessary thing in the natural to sustain the supernatural thing that we have received. Yet later in his life because of the direct revelation of God and association with the apostles and disciples, he learned by faith to speak in tongues more than everybody (Acts 9:19;Galatians 1:11-12,18;2:1-2;1 Cor 14:18). And the truth is those who believe in the name of Jesus can speak in tongues at will because it is a gift of God that He gives to those who believe in His Name (Mark 16:17;1 Cor 12:10,28;14:2,14,15). 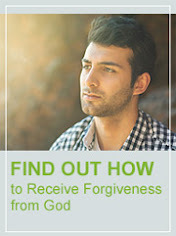 It is a gift that is used for personal heart to heart communication with God by faith. Because of the great and marvelous benefits of speaking in tongues that Paul experienced in His life, he wished that all believers like him would receive the benefits of speaking in tongues (1 Cor 14:5). Acts 8th chapter, the scenario is that, Philip the evangelist had preached the gospel and the people believed the gospel of Jesus Christ seeing the signs and wonders. They were all baptized in the water by Philip ,yet the Holy Spirit had not yet fallen upon any of them in a overwhelming way as in the house of Cornelius which happened after this incident (Acts 8:16;10:44-46). So when the apostles laid their hands on the believers, they received the Holy Spirit. And the Bible says that Simon the sorcerer saw that through the laying on of the apostles’ hands the Holy Spirit was given, he offered them money to buy this type of gift of giving of the Holy Spirit through the laying on of hands (Acts 8:17-18). The question is how this Simon was able to see the invisible impartation of the Holy spirit? The other place in the Bible where men recognized or saw the giving of the Holy Spirit was when the Holy Spirit fell on a group of people in the house of Cornelius without laying on of the hands of the apostles. By hearing them [(i.e.) 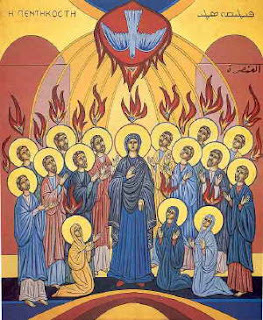 the people in the house of Cornelius] speak with tongues and magnify God, the believing Jewish disciples who came with Peter understood that the people in that house of Cornelius have all received the Holy Spirit just as the Apostles and the disciples received in the day of Pentecost (Acts 10:44-47;2:4;1:5). This also confirms that the 120 disciples in the upper room understood that if a person is seen speaking with tongues, it is a confirmation that he had received the Holy Spirit and is filled with Him. In that way Simon the sorcerer must have seen the people speak with tongues after receiving the Holy Spirit. The other usual manifestation that happened was people prophesied when they were filled with the Spirit (Acts 19:6). And speaking in tongues is also one type of prophecy because Peter was referring to the book of Joel in his sermon on the day of Pentecost and showed from the Old Testament that the phenomenon that was happening was the fulfillment of the prophecy that said, “…God will pour out his Spirit on His men and maid servants and they will prophecy..” (Acts 2:4,16,18). Peter explained that speaking in tongues is in one way equal to prophesy, if people understand it (Acts2:11;1 Cor 14:5). For those people who did not understand it, it was tongues to them (Acts 2:13;1 Cor 14:2,10-11,16). The same tongue manifestation on the day of Pentecost were to some people prophesy and to other people tongues or in other words meaningless language (Acts 2:11,13). In another way Simon the sorcerer might have also seen people fall under the power of God along with speaking in tongues. Why because Jesus said to His disciples to wait until the day of Pentecost, so that He promised them that they will receive power when the Holy Spirit has come upon them (Acts 1:4,5,8). In other words they will receive power when the Holy Spirit falls on them in His power as He fell upon the people in the house of Cornelius. This proves that when some one powerful with power, literally falls upon some one to impart power in to them, they will also fall under the power that is falling upon them (Acts 1:8;2:2-4,6;8:16;10:44-47;11:15-18). Now here is our answer for our main question, ‘Can a person be filled with the Spirit and yet not speak with tongues?’. Yes it is possible because in the Old Testament we see many prophets and saints were filled with the Holy Spirit and even immediately prophesied when they were filled with the Spirit of God (1Samuel 10:6,10;Numbers 11:25,29). And for some prophets like Micah the minor prophet, when they were filled with the Spirit, they experienced the fullness of power by the Spirit of God as also Jesus promised his disciples (Acts1:8; Micah3:8), So that they were empowered to declare or witness the message that God had for people. Yet we cannot see anybody speaking in tongues in the whole of the Old Testament as a sign of being filled with the Spirit. This is because it is [the gift of speaking in new tongues] a phenomenon that God had promised to give as a sign of New Covenant grace (Isaiah 28:11,12;Mark 16:17;1Cor 14:21,22,39;Joel 2:28,29). So even in the New Testament times people can fully utilize the fullness of the grace that God gives or people can choose not to receive the grace and by their unbelief stick on to the Old Testament benefits only. Some may not receive because of spiritual ignorance. Here ignorance is not bliss (1Cor 14:23;Mark 16:17;1Cor 15:10).If anybody will humbly acknowledge their need for filling of the Spirit and will thirst for God to fill them, He will give the grace with the evidence of speaking with other tongues (James 4:5,6;Matt 5:6 [ Jer 23:6]).This grace as the Bible says is only for those who receive abundance of grace and of the gift of righteousness will (only) reign in life through Jesus Christ our Lord (Rom 5:17). The Old Testament is the New Testament concealed and the New Testament is Old Testament revealed. A person can always choose to neglect something that is newly revealed that they do not understand as did many Jewish people including Peter did (Acts 10:13-16;15:7-10). Some believers out of ignorance will not be able to speak in tongues and be filled with the Holy Spirit as did the Ephesian believers who had not even heard whether there is a Holy Spirit. In other words they were totally ignorant of the gift of the Holy Spirit (Acts 19:2-6;8:14-18). For this reason they did not experience the gift that God had already given freely to many who were already experiencing Him in their times. But they were honest seekers, so God arranged a Divine appointment through apostle Paul and fulfilled their heart desire with the gift of the Holy Spirit. Even today I am challenging you that God is fulfilling the desires of all the honest seekers by giving the gift of the Holy Spirit for those who are seeking it with all their heart. They are the ones who will grow in leaps and bounds and experience the grace of this New Testament times. Take a step of faith and believe and ask God to fill you with the gift of the Spirit with the evidence of speaking with new tongues and by stopping to think by reasoning, begin to speak with new tongues! A lot of people reason why is that great man of God so powerful even without speaking in tongues, Is he not filled with the Holy Spirit. To that my answer is, there is a measure of the Spirit of God that comes along with the call of God in ones Life (Romans 11:29; Acts 18:24-25;19:13;Luke 1:15-17). But not every one will receive equally the same measure of the Spirit, even those honestly desiring for it, because it is given to the person personally to fulfill a particular task in his life. Moses desired in the Old Testament times,’ how good it will be if all of God’s people will be prophets filled with the Holy Spirit and prophecy!’. And God heard and considered such a heart cry and promised in the Old Testament times itself through the prophets that it will be fulfilled through His Son Jesus Christ (Numbers 11:29; Deut 18:18-19; Isaiah 28:11-12; Joel 2:28-29). (John 1:17,32-33). From the very beginning of the Gospel to the end and right through all of the Acts of the Apostles, this is not an add on theme but it is the main theme. And as we have seen one of the main reason for Jesus coming to this earth is to baptize people with the Holy Spirit (John 7:37-39). The reason Jesus is able to give the Holy Spirit in Baptismal measure is because He has received the Spirit with out measure (John 3:34). Look to Jesus, for He is the baptizer of all with the Holy Spirit and fire [Divided tongues as of fire, one (i.e. 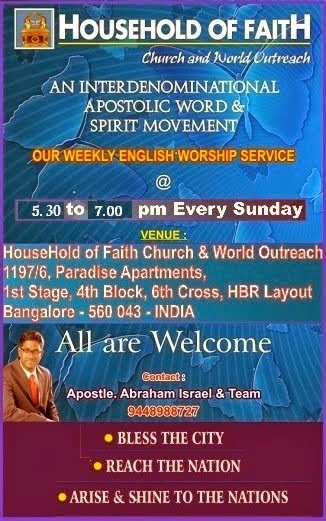 Holy Spirit (Acts 1:8)) sitting upon each of you (Matt 3:11)]. This fire as you start living in it daily will cause the fire to increase as Jesus will fan the flame and through this will thoroughly clean His threshing floor and you will be gathered as a pure wheat in to the barn (Matt 3:12). When you are gathered in to the barn (Store house), then you will be a great blessing to many in your life. The fire that burns in you will unquenchably burn the chaff of ungodliness in others ( Psalm 1:4,5;Matt 3:12). So do not look on to any man but to Jesus to be filled with the Spirit! Hallelujah! I used to see Benny Hinn’s, ‘This is your day’ program each day in the morning when I was in my home town. One day an aged man of God was invited for the show. He had a special anointing over his life, especially in the area of giving of the Holy Spirit with the laying of hands. When he prayed for people many received the ‘baptism of the Holy Spirit’ with the evidence of speaking with new tongues. He was speaking in details about this tongue speaking. He discussed in the talk show that our mind should not be used and should be kept blank while trying to speak in tongues. And this tongues comes from your spirit as the Spirit of God gives you the utterance. He also told about a woman believer who tried to receive new tongues for years and she prayed and prayed and nothing happened. One fine day this man of God was invited to their church one day. And he told her the same thing that she should not use her mind but let prayer come from her spirit. Even if she will get just one word she should by faith open her mouth and should speak it and it will come. Finally she received it. This encouraged me very much. That night as usual as I went to the open-terrace to pray. Then as I began to pray, I prayed ‘Lord I would like to pray in tongues’. Then after I finished praying like that, I felt some sort of utterance coming from my spirit up to my throat. So I opened my mouth and by faith I prayed out the utterance but kept my mind blank. At first it was a sort of one word and repeated phrases in tongues came out. Then I grew bold and began to speak it loudly. Then tongues came flowing out of my spirit. Also I felt refreshed and edified in my mind every time I prayed in tongues, so it became a habit. Now these days I realize, how privileged I am to speak in tongues as I willed. It is truly a supernatural heavenly language. I thank God that I speak in tongues more and more. Praise be to God! It is inevitable that a person who is baptized in the Spirit not to speak in tongues. John the Baptist himself said, “I indeed baptize you with water ….But He (Jesus) will baptize you with the Holy Spirit and fire.”(Matt 3:11).What fire he is speaking about, he is speaking about the “…divided tongues [or tongues as of fire, distributed and resting on each], as of fire.” (Acts 2:3). Luke 11:1, Jesus was praying in a particular place, When He ceased [When something that is flowing suddenly stops, it is known as ceasing], the curious disciples did not understand a bit of the prayer that Jesus prayed, So they asked Him to teach them how to pray like Him (Luke 11:1). The same word ‘cease’ is used by Paul in the New Testament for stopping from continuously praying in tongues in 1 Cor 13:8 and 1 Thess 5:17. The Greek word used here is ‘pauo’. For the word cease can be translated as leave or refrain. This word “he ceased” in Luke 11:1 is the same word that is used in 1 Cor 13:8 that says tongue will cease. And it is also the same word that is used to indicate prayer of thanksgiving in Eph 1:16. And again Paul says in 1 Corinthians 14:15-17, “when you pray in tongues you give thanks well”, which strongly indicates that Jesus prayed in tongues. The question is how can we pray with out ceasing? The above words prove that groaning in itself is a type of tongues because only the Spirit of God can make such intercession through us. And the next verse in Romans 8:27 speaks about the Holy Spirit [interceding] praying according to the will of God. Jesus also at the end of this conversation about prayer, He ends the conversation by saying in Luke11:13, “…how much more will your Heavenly Father give the Holy Spirit to those who ask Him!.” For what? For praying persistently or unceasingly (Luke 11:8). Here He clearly instructs the disciples, If God’s will needs to be done on earth as it is in Heaven, then they need the Holy Ghost to pray through them. The next question is, Did Jesus groan in the Spirit? Yes, “..He [Jesus] groaned in the Spirit and was troubled.”(John11:33).This shows that He spoke in tongues. Jesus “ Who, in the days of His flesh, when He had offered up prayers and supplication, with vehement cries and tears [tongues] to Him who was able to save Him from death, and was heard because of His godly fear (Prov 8:13;Ps 97:10).”(Heb 5:7). Jesus Himself have clearly told the secret to praying such powerful prayer like Himself who prayed in to ngues, by telling them [the disciples] to ask the Father for the good gifts of the Holy Spirit (Luke 11:13). So only Jesus promises the same gift that He told His disciples to ask the Father God as “The Promise of the Father…and He calls it as baptized with the Holy Spirit….” (Acts 1:4,5). He even refers to this Promise as that which “you have heard from Me;” Jesus also promised that “And these signs will follow those who believe; In my Name they will speak with new tongues.”(Mark16:17). These information’s He gave to the 11 disciples privately because they were seeking Jesus on how to pray and walk in the power in which Jesus Himself walked. How can Jesus tell them or make them understand [if they had not seen Jesus speak in tongues? ], that they will also speak in tongues if they believe. When Peter started speaking in tongues, he was not at all surprised by this phenomenon, but he explained it clearly to others what was happening. If Peter was taken by surprise when he spoke in tongues, how could he have explained it to others, If he had not seen Jesus speak like that andif they did not seek for what Jesus had (Acts2:14-17). Comparing the above two verses it clearly shows that the kingdom of God is the extension of God’s rule from heaven in our hearts by the Holy Spirit. This shows that when Jesus instructed the disciples about prayer, when He said them to ask the Father, “Thy kingdom come…”, In other words Jesus was telling them to ask the Father to send the Holy Spirit to come in to them so that they can start praying perfectly according to the will of God in tongues, as Jesus Himself was praying (Luke 11:2). In Luke 22:44, Jesus being in agony, He prayed more earnestly [i.e. more intently]. Being in agony is to feel weak. So only in the verse before this verse in v43, “an angel appeared to Him from heaven, strengthening Him.”. These types of prayers are Holy Ghost inspired prayers. .If the disciples did not seek to pray in this supernatural prayer language, Why should Jesus meet them personally and promise them that they will also speak in tongues if they believe. We must also understand this is a sign tongues [i.e. Gift of speaking in new tongues to men whose language we do not understand] (1Cor 14:22; Acts 2:11). My question is, if God wants other men to hear the marvelous works of God through His sons and daughters, how much more will he be desperate to hear His sons and daughters speak the wondrous mysteries of His plan to Him, So that He will answer them? (1 Cor 14:2 ; 2:11-12). The term “tongues of men” refers to the supernatural empowerment of the Holy Spirit to speak or preach in any language on the face of the earth of which we have no previous knowledge (1Cor 13:1). The term “tongues of angels” refers to the common language used in heaven (1 Cor 13:1)[even on planet earth God planned to have common language as it is in heaven, but because of rebellion God confused the first common language on earth (Genesis 11:7)]. The “…fellowship of the mystery..”(Eph 3:9) between God and man has been hid in God. It is now revealed to the principalities and powers in the heavenly places by the Church that speaks the language of heaven to these angels displaying the manifold wisdom of God (Eph 2:9-10;Colossians 2:15).This is that which Paul described in 1 Cor 13:1 as speaking in “Tongues of angels”. The mystery which has been hid was, how Christ would become man and redeem us from our sin and how He would continue to dwell in us by His Spirit (1 Peter 1:10-12). And the fellowshipping of God with man is one of the greatest mystery of all time. When we speak in tongues we are speaking mysteries [the things that we don’t understand with our natural mind]. It does not mean it is necessarily a mystery to others, but it is a mystery only to us. (2)When we speak in tongues, we may be speaking in tongues of men (1Cor 13:1). When we speak in the tongues of men, they will understand what we speak to them. (3)When we speak in tongues, we may be speaking in tongues of angels (1Cor 13:1). When we speak in tongues of Angels, we are speaking to them the mysteries or the wisdom of God that it might be displayed or made known by the church (Eph 3:9-10), to the powers and principalities in the heavenly places. Mostly when we speak in tongues, we are praying to God. And no man understands (1 Cor 14:2). But the last two type is operated in us by God and belong to the spiritual gifts of “diversities of tongues” (1 Cor 12:28). Only God worketh these gifts all in all (1 Cor 12:6). [But each man as God wills is given the manifestation (operation in man by God .i.e. When He starts or initiates then you are working along with God to continue in it)of the Spirit (1 Cor 12:7,11)]. In 2Cor 12:4 Paul speaks about hearing things in heaven [paradise] which are not lawful to be uttered. He “heard unspeakable words”. From this we know that the residents of heaven speak in a language which is not used by any man. These are tongues of angels. The fallen angels were once the residents of heaven, so they must be understanding the language of heaven and I believe they still do speak and communicate among themselves with this language of heaven. So because the last two types of tongues are spiritual gifts given to as many people as God wills, Paul asks the question, “….do all speak with tongues?”(1Cor 12:30). But whoever longs to speak in tongues to God, will be able to speak with their own will which you normally receive along with the “...Baptism of the Holy Spirit.” (Matt 3:11; Mark 16:17; Acts 19:6).